But it is the Republican majority that has placed a total blockade on the usual safety valve for temporary appointments - the recess appointment power - by refusing to go on recess for the last two years. And with Democrats set to take the House and be in position to deny the Senate consent to recess starting January 3, there is a real possibility that President Trump will go an entire presidential term without being able to make recess appointments. 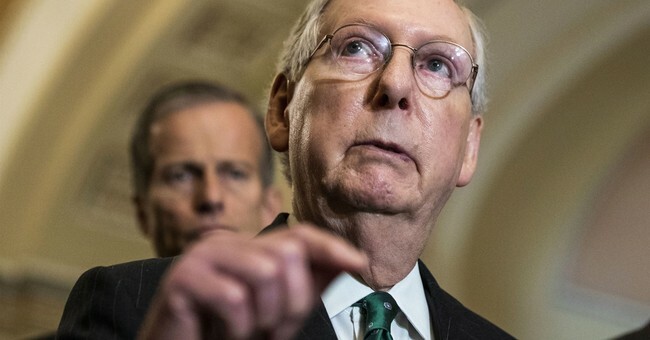 It has been nearly eight years since the United States Senate officially recessed - a streak aided by the practice of holding so-called pro forma sessions every three days throughout every adjournment. Those sessions - which consist of nothing but gaveling in and out and where, by unanimous consent, no business is conducted - serve a single purpose: to deny the president of the United States the recess appointment power, which is a constitutionally authorized power to temporarily install nominees to executive and judicial posts without Senate advice and consent. You might reasonably expect no president will ever get recess appointments again except when the same party controls the House, Senate, and president. But for the last two years, the same party - the Republican Party - has in fact controlled the House, Senate, and president. And yet, the Senate has never recessed.